Progress has been made regarding several elements of the “Semmelweis XXI” development project, and around HUF 6 billion in government development funds is already earmarked in this year’s budget for the purpose, said Dr. Béla Merkely. Evaluating the six months since he took office last July, the rector highlighted among others that, as contained in his program, the leadership related to the enhanced role of the rector has been established, and the Organizational Development Council, whose task is to overhaul the Organizational and Operational Regulations (SZMSZ), has started its work. Summing up his experiences, he emphasized that the main value of Semmelweis University is its human resources, which he represents at every forum. He also said that the moving of the Kútvölgyi Clinical Center and the Department of Pulmonology would bring along developments and the strengthening of the university campus character. The past six months were very intensive, both from the aspect of work and tasks to be completed, and from representing the university’s interests on a government and a university level, said Dr. Béla Merkely, assessing the past months, and also adding that already during his visits to the various departments and theoretical institutes after his appointment as rector on July 1, it was clear that Semmelweis University’s biggest value is its human resources. “Accordingly, I represented this view at every forum, including budget talks, be it the continuation of the career model or the matter of small-value vouchers,” he pointed out. The rector has given, and gives high priority to the relationship with students, and he is always open to suggestions they bring to him. The curriculum cannot be renewed without students and educators, as they are the ones that know the university the best. At the same time, it seems unavoidable for the four Hungarian universities providing medical training, considering their foundations and objectives, to implement similar education reforms. That is why there are regular consultations with peer universities, and it was with reaching this objective in mind that the Semmelweis Lab, proposed in the rector’s program, was created on this topic as well. In addition, another huge step forward was the overhaul of the system of scholarships and other allowances, and the creation of the unified university Regulations on Reimbursements and Allowances. The rectoral leadership will rely strongly on the opinion of students during the upcoming process of developments as well, both directly and through their representative, the Students’ Union. Dr. Béla Merkely also talked about how, although slower than planned, but the leadership system related to the new role of rector, as described in his program, has taken form. Thus, in addition to the vice-rectors, the Rector’s Cabinet, which represents the expertise of various fields, has also started its operations; as of January, a senate secretary-general supports the work of the university’s rector and Senate; and as of now, the operations of the Semmelweis Society of Professors have been codified in the SZMSZ. Although it is too early to see any results from it yet, the Organizational Development Council, which covers both the rector’s and the chancellor’s fields, has also started operating, and its main task will be overhauling the SZMSZ. As a result of consultations with the university chancellor, and in line with the December modifications to the Act on National Higher Education, while remaining under the chancellor’s direction, several organizational units have also come under the professional direction of the rector: these are the Directorate of International Relations, the Directorate of Communication and Event Management and the Central Library. In order to improve efficiency and strengthen the clinical training orientation, the administration of vocational and continuing education tasks will be reorganized, and a unified Vocational and Continuing Education Center will be set up. The rector also said that while last year’s budget was only accepted by the Senate with a significant delay, it was eventually possible to secure slightly more funding than originally planned for a minimal amount of clinical developments, and also to agree that in the future, there should be a submitted budget draft by the end of March. “It is my determined goal that this year we move toward a budget that recognizes and promotes performance,” the rector declared. With regard to the internal organizational changes, Dr. Béla Merkely said that some people might feel he had to undertake too many conflicts recently, but as a determined leader who thinks in terms of both short and long-term strategies, he is convinced that without these conflicts in is impossible to reach grand goals. 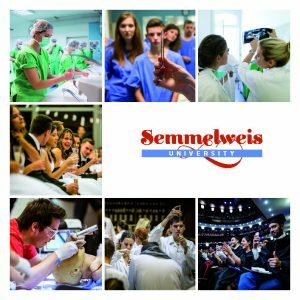 “Of course, one has to have the right team to work this way; with my vice-rectors and fellow leaders we are working to make Semmelweis University one of the world’s top 100 universities by 2030, and one of the top five best universities in health care in Europe,” the rector highlighted, adding that this can only be achieved together, with collaboration, and that he continues to count on the cooperation of every university citizen in the future as well. Regarding the developments that have been launched in recent years, Dr. Béla Merkely said that about one year after the government approved the Semmelweis XXI development project at the end of 2017, progress has been made in some of its elements. Of the HUF 4 billion in planning and development funds approved in the government decree, HUF 3.5 billion is already secured in the university’s 2019 budget. “We received something, but unfortunately we also have to give something in return, and of course our developments could be progressing faster. But it is important to see that now every faculty and the Clinical Center as well have numerous development opportunities ahead of them,” he declared. The university’s new, increased-capacity infertility center, also called the In Vitro Fertilization (IVF) Center, will start operating already in 2019. As a first step, it will be located in the Outer Clinical Center, until the final location is completed at the Department of Obstetrics and Gynecology’s premises in Baross utca. The university has already received HUF 1.6 billion in development funds for this purpose. The rector also detailed the recently published three government decrees on additional university developments. According to the government decree published at the end of November 2018, a new pharmaceutical research center can be built on the university. As part of the development of the Faculty of Pharmacy (GYTK), the cabinet decided on first taking into state ownership, and then transferring asset management rights to Semmelweis University, the entirety of the former hospital property in the 9th district that will be the site of the Hőgyes–Schöpf-Merei Pharmaceutical Research Center. In a related step, the design tender for the nearly 20,000-square-meter new center has already been published. Government decree No. 1774/2018 (XII. 21.) on measures relating to the Semmelweis XXI Development Project was published before Christmas. This says that the three real estate properties facing the main entrance of the university’s Basic Medical Science Center (EOK) in Tűzoltó utca will be acquired by the state during the course of 2019–2020, and then passed on to the management of Semmelweis University, thus creating the opportunity to carry out a 16,000-square-meter education investment. Additionally, the government agrees with the family-friendly development of clinical pediatric care, and supports the expansion and infrastructure development of Semmelweis University’s Inner and Outer Clinical Centers, in the interest of improving the quality of clinical care, research and associated patient care. According to the government decree, the minister of human resources has to submit a proposal on this by the end of January. 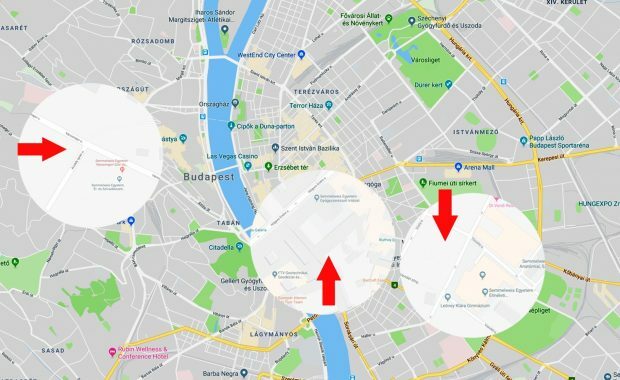 This development will make it possible for the university’s departments currently located on Kútvölgyi út to move out of the building of the Kútvölgyi Hospital by the end of 2019, as the building will be taken over by the North and Central Buda Center, New Szent János Hospital and Clinic. The latter is stipulated in a government decree dated December 13 (decree No. 1672/2018), which also contains the long planned moving of the Department of Pulmonology, currently operating on the premises of the Szent János Hospital, with a June 30, 2019 deadline. 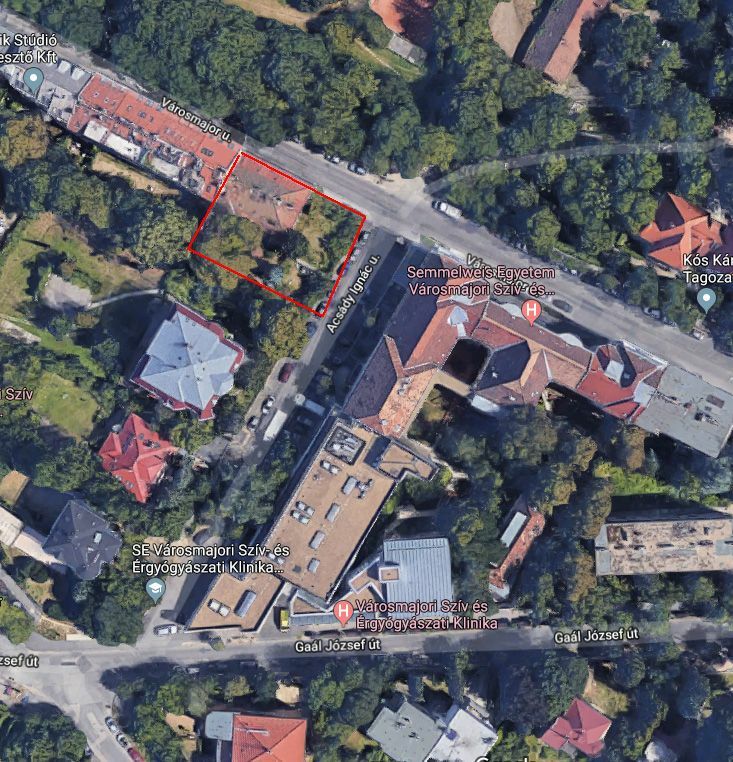 The Department of Pulmonology will be transferred to the building in Tömő utca, part of the Outer Clinical Center, and the government has set aside HUF 1.5 billion for renovating this building and moving the department’s equipment to the new site. The rector stressed that the university has been preparing for the moving of the Department of Pulmonology for a very long time, and now finally the task and the necessary resources are at hand. Both the rector and the chancellor side have appointed the directors responsible for the moving process, as well as renovating and building and designing its professional medical strategy. There are continuous consultations ongoing, thus by June 30, 2019, the Department of Pulmonology will move into in a much better patient care environment compared to the current conditions, while the environment of the Department of Oncology, which is also located in this building, will improve further as well. The relocation of the Kútvölgyi Clinical Center is a tougher task, but it is manageable, the rector said, stressing that according to the government decision, the university will retain its clinical and related in- and outpatient clinic capacities. Thus the departments operating in the Kútvölgyi facility, along with their 261 beds, the research labs and the pharmacy, have to be placed in the Inner and Outer Clinical Centers by December 31, 2019. There are also plans in place to move the Department of Family Medicine, which also operates at the Kútvölgyi site, to more modern premises. Only the clinical capacities of Kútvölgyi will be transferred to the North and Central Buda Center, New Szent János Hospital and Clinic. The rector said that the proposal on the technical and budget plan for the move, as well as the presentation of the professional concept for developing the inner and outer centers and for pediatric care, had to be submitted to the government by the end of January. Consultations are continuous with the heads of the affected departments, with the rector personally leading talks. According to the preliminary professional plans, we can place each and every bed, but at the same time the relocation also provides an opportunity to improve operational efficiency from a medical standpoint, which in the future may also be reflected in the professional designations contained in the departments’ names, he pointed out. 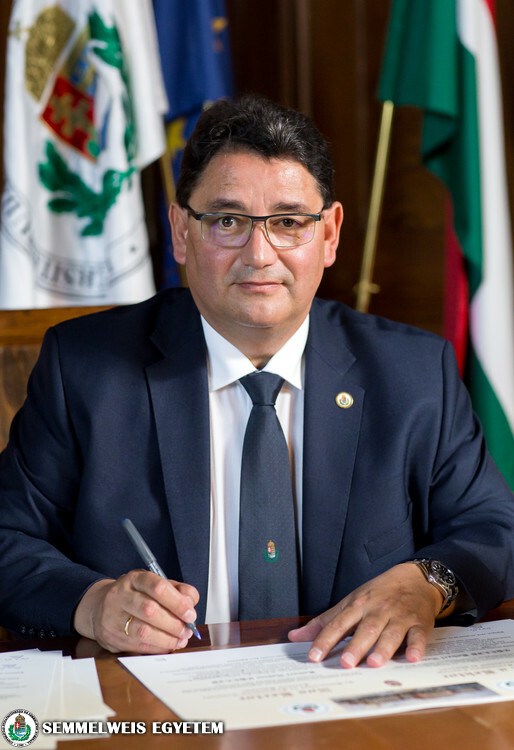 “Temporarily, we will be a little tight, but plans are already being prepared based on which we will be able to include new properties in districts 8 and 9 in our developments, as stipulated in the government decree published before Christmas,” the rector said, adding that the university’s campus-like character will strengthen as a result of these developments. Nevertheless, Dr. Béla Merkely noted that with relation to Kútvölgyi, we should not for a moment forget that the value is not in the walls, but in the internationally renowned healing, teaching and research workshops and in the people who operate them, from the professors to the young doctors and research fellows, from the nurses to every single professional and assistant who works there. Therefore, the rector declared that he will do everything he can to keep and further develop these workshops. 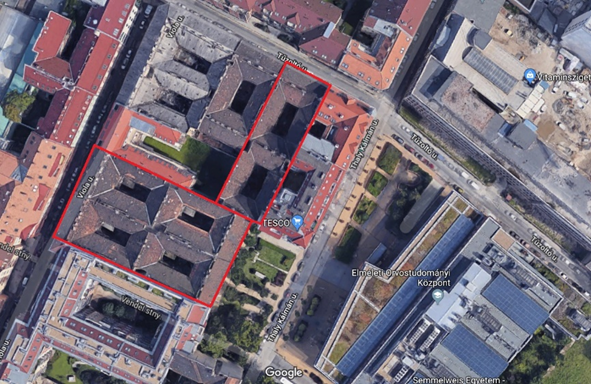 Also under the December 21 government decree, the Városmajor Heart and Vascular Center will be expanded, as the state will purchase one of the apartment buildings next to the center, thus the so-called Városmajor 70 project will be able to start. 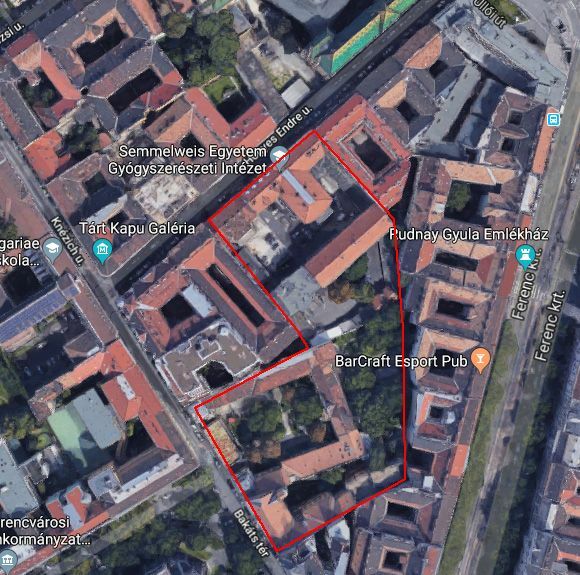 This year HUF 565 million, and next year HUF 3.196 billion can be spent on expanding the center’s current transplantation department, the partial renovation of the building where operations are performed, and the modernization of the diagnostics center located under Határőr út 18. The government has also decided on developments at the András Pető Faculty, which belongs to the university as well. The related professional concept was also set to be completed by January 31. Furthermore, in the interest of developing the university’s clinical education and research activities, a proposal on establishing cooperation between Semmelweis University and certain key national medical and research centers will be prepared by April 30, 2019. Rector Dr. Béla Merkely said he looks ahead at 2019 as an athlete preparing for the Olympics: Semmelweis University’s Olympic challenge this year will be the 250th anniversary of its establishment. “I am convinced that not only Hungary and the Hungarian nation, but also the international medical establishment will be watching us, so we have a huge opportunity to lay the foundations for the university’s next 250 years,” the rector stressed, noting that he would like the change in pace that his closer environment has already experienced to spread to the entire university. In the period to come, everything should be about the 250th anniversary of the foundation of Semmelweis University, and about how the university is renewing itself for the next 250 years, and thus along with it, Hungarian medical, pharmaceutical and health sciences training, research-innovation and patient care, which forms the basis of it all. “We can only do this together,” declared the rector, adding that it is good to see that one’s work is not in vain, but it feels even better when – in the interest of a common goal, the development of Semmelweis University – university citizens and leaders and professionals from outside the university with whom we previously had disagreements on many other questions, offer their support. “It lifts the spirit to see that, regardless of their age, attitude or position, our students, young medical specialists, experienced professors, theoretical and practical physicians, health sciences experts, and those operating the university, all sit down at the same table to jointly form the future,” the rector emphasized.